An image from the Harbor in Victoria, B.C. 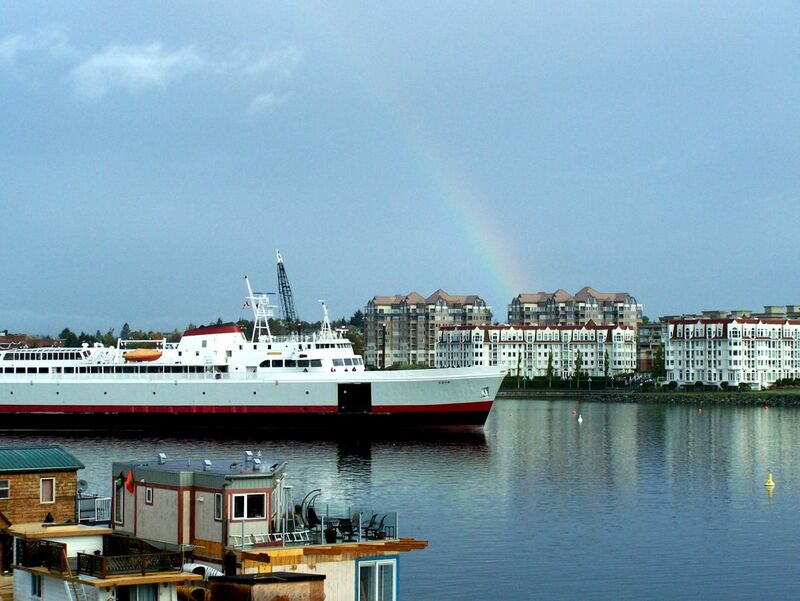 The Rainbow welcomes the visitors coming into the city on the Ferry from Port Angeles Washington. Houseboats in the foreground!